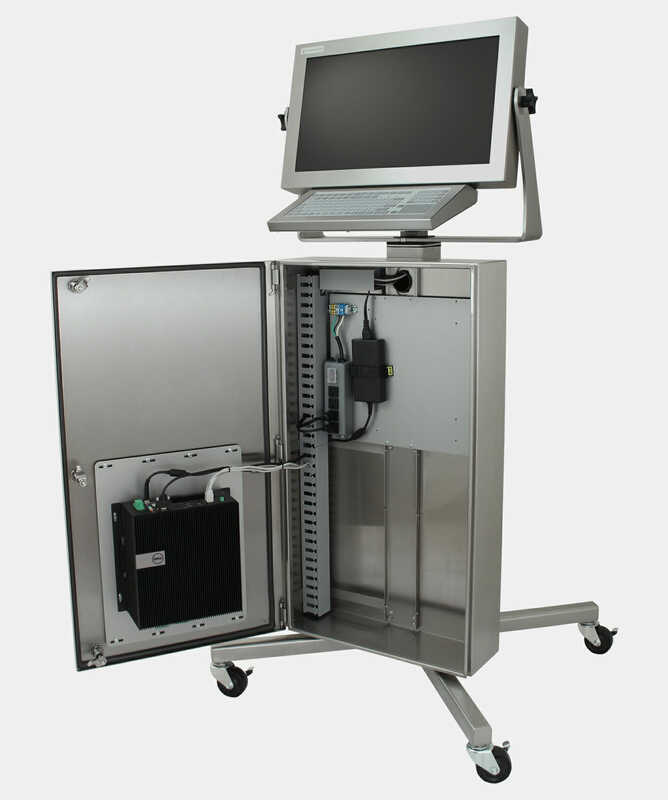 When combined with one of our industrial Universal Mount Monitors, industrial keyboards, and pedestal or wall mounts, the PC Enclosure and Dell Box PC 5000 creates a full NEMA 4x, IP65/66 rated workstation suited for wash-down environments. Installing the Dell Box PC 5000 into the PC Enclosure is a breeze: attach the Dell mounting bracket (Dell part no. 575-BBKC) using the pre-drilled mount points and use the Velcro tie-down strap to secure the Dell DC power supply. 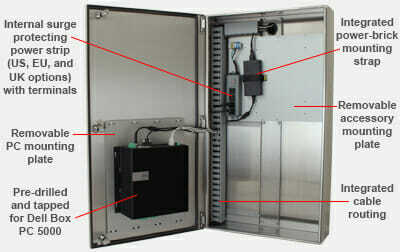 Heat rise is negligible inside the enclosure when used with our optional cooling kit (HIS part no. MK-PC10-STD). What is the cost and delivery of he PC enclosure pre-configured for the Dell Box 5000? I need one pretty quick. I want the monitor and keyboard and quote the cooling package as an option.